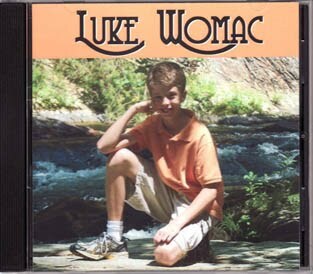 Luke Womac is what I call Country Gospel Gold! He not only sings a song but expresses such feelings and emotions in his delivery that it takes me to spiritual places that many famous Gospel singers can not come close to accomplishing! Luke Womac is everything you could desire in a young singer God has richly blessed Luke and now he glorifies his God and Creator in his music! Luke Womac True Tennessean Talent! About a month ago while speeding down the internet talent highway. I ran head-long into a website that caught more than my attention! 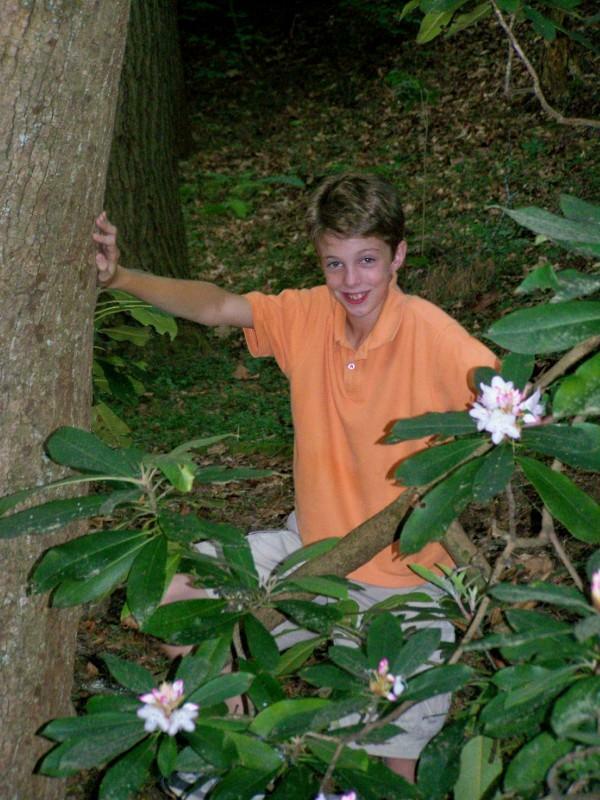 I found a young talent, that for me, had been hiding out in the hills of Tennessee. Actually from the foothills of the Smokey Mountains to be exact. From a little town of barely 8,000 people, came a voice singing so pure and clear, that I felt I had found a little old country church like the one I was raised in. Even more interesting, was the song he was singing. A song that was first released the year I turned 21 called “Why Me Lord” by Kris Kristofferson. I can’t tell you how long it has been since I heard that song, but this time it was different, almost as if I was hearing it for the first time. Luke Womac, at just 14 years of age was singing this song like he was twice that age with such feeling that I knew there was something different about this young artist. Some Southern Gospel singers sing gospel and that’s it. Others sing it from the heart and reveal sincere feelings that are only generated from the soul. This is what I feel Luke Womac is all about! If singing well is not enough, Luke is also an extremely talented song writer. 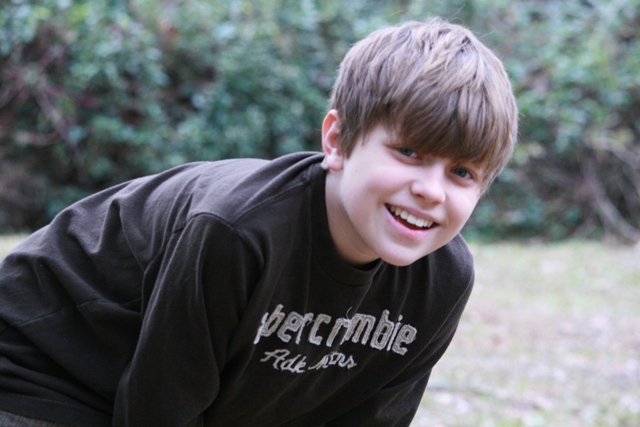 In fact, at the tender age of 12 he wrote his first song entitled “My Creator”. As I write this, Luke is working on three new songs which I hope to bring to you in the near future. 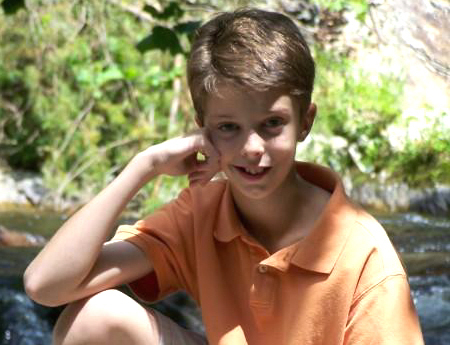 Luke has lived in East Tennessee all of his life. He sang his first song at age 4 before he could read the words on the karaoke screen and has been a favorite to friends and family ever since. 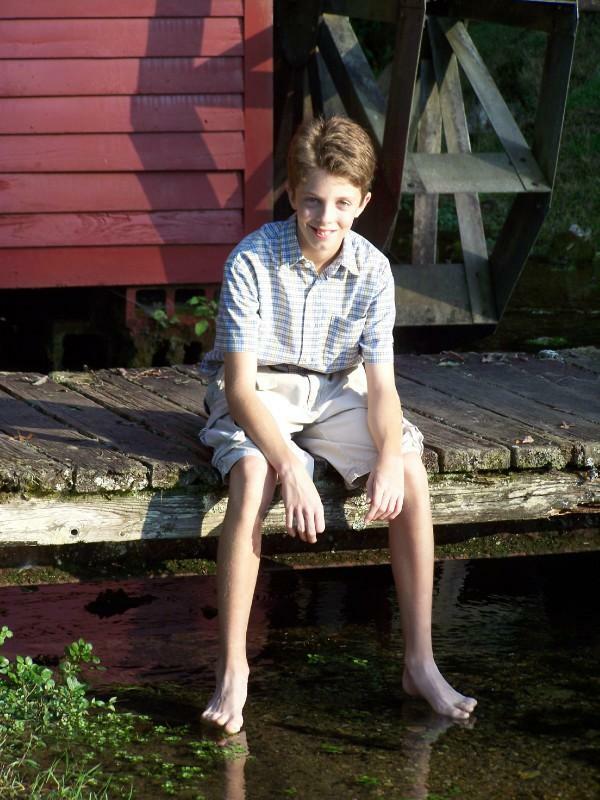 At age 11 Luke started participating in school solo competitions with the Christian school that he attends. 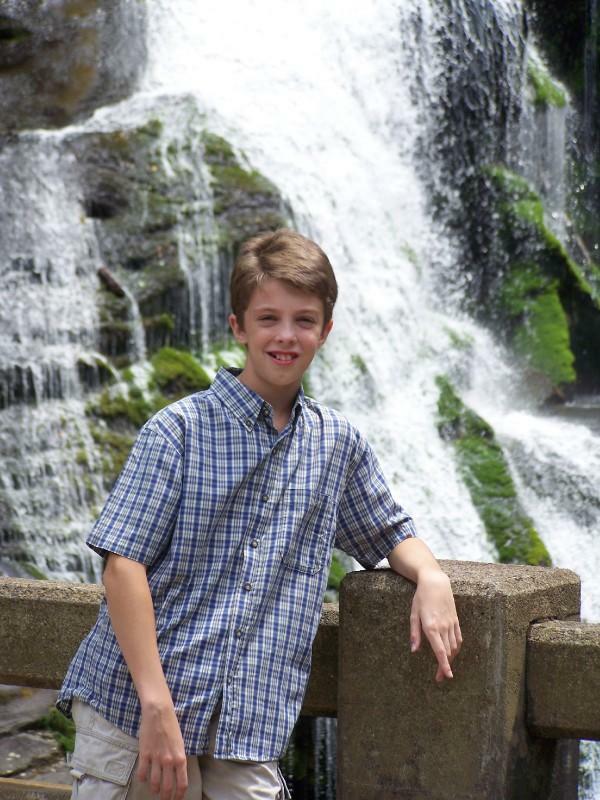 For several years he has won the Tennessee State Title for his age group and has become a local favorite singing in churches, festivals, fairs and fund raising events. He has traveled as far north as Pittsburgh, Pennsylvania and as far South as Mobile, Alabama sharing his talent with others. .Luke is a member of Country Christian Music Association in Nashville, Tn. and was nominated in 2009 as top 5 in the youth division (18 and under). He plays basketball for his school, enjoys riding horses, and going deer hunting but is most proud of his first CD recorded at age 12. I guess I really made a connection with Luke’s singing as it brought back so many wonderful memories when I was his age, going to that little ole church singing in front of our small congregation with all my heart. Tears streaming down my face and feeling every word I was singing. I could just see Luke doing the same. Like Luke, I enjoy so many different types of music but the music that I am continually drawn back to is the music that stirs the soul within me. The kind of music that isn’t just sung but the kind that wells up inside you bursting out with a joy that can not be described with words. For an entire listing of Luke’s accomplishments and to hear all his songs from his playlist visit his website http://www.myspace.com/lukewomac. I can assure you that you will not leave his website disappointed. You can only come away with one opinion. Luke Womac is True Tennessean Talent that is too good to stay hiding in the foothills, but needs to be shouted from the top of the Smokey Mountains. If you would like to order Luke’s CD’s, you can obtain one for only $8.00 US which includes shipping and handling costs. I just received my copy and I am very impressed with quality and fine production work on every track. Get your copy today! Keep singing Luke. This is one blogger that will be listening! Because all music files and many videos were deleted from the archives to make room for the new site we recently created a tribute video for Luke. Author RivenmasterPosted on January 20, 2010 August 15, 2017 Categories Featured, Luke Womac, Young Male Artists A-LTags boy, Country Gospel, Luke Womac, Talent, Tennesee, treble1 Comment on Luke Womac True Tennessean Talent! I am very pleased to announce that I am currently working with the parents of two fantastic young country artists. Connor Blackley (12) from Florida (left) and Luke Womac, (14) of Tennessee pictured (below). Both boys will soon be taking the stage here in a feature article. I can’t express enough what a joy it will be for you to hear these two fine performers sing. For the past several months we have spent most of our time outside of the United States. However these two boys will surly demonstrate just what the U.S.A. has to offer in relationship to Treble singers. You will not want to miss the introduction of these two up and coming young performers and be sure to watch for follow up articles concerning their musical activities. While they may be making their first visit here at Rivenmaster it won’t be their last. I can predict with clear certainty that these two boys will be standing on Americas larges stage some day, not just entertaining a crowd but truly bringing us the best that singing talent has to offer. Listen to Luke’s rendition of “Why Me Lord” and you’ll see what I mean.